4 general dentists, 3 specialists, 2 locations and 1 full in-house dental lab to better serve you. Dental services for children, adult and special needs all under same practice. Latest technology in the world of digital dentistry to make you appointment more comfortable. Open from 7 AM to 7 PM to accommodate to your busy schedule. 24/7 Emergency Dentistry Dental Care only a phone call away. Compassionate, trained & experienced dentists & staff. Bilingual Dentists & staff. Hablamos Español, Russian and Arabic. In-house saving plan and comfortable payment plans. We maximize your medical and dental benefits. We believe in creating smiles and relationship for a lifetime! JR Dental and staff wants to welcome you to our practice. 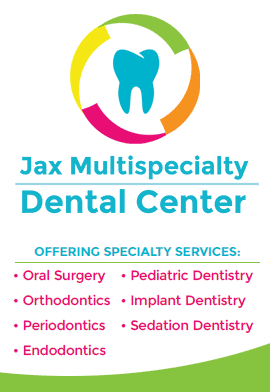 We proudly provide quality dental care to the community of Jacksonville, FL and surrounding areas. Our featured services are general dentistry, cosmetic dentistry,teeth whitening, dental implants and much more. We’ll be glad to hear from you if you have any questions. 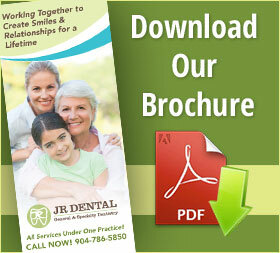 We know that you have choices when selecting a Jacksonville dentist. We are honored that you have selected us as your family dentist. When you visit the JR Dental office, your smile is our top priority. The mission of our practice is to provide dental care based on mutual trust and respect at a price you can afford. Our number one priority is our patient’s well-being. We implement all the tools and latest technology available to make sure you have a comfortable experience during your dental visit. Our dental office is conveniently located in the Westside of Jacksonville at 7030 Normandy Blvd, only 0.5 mile east of 295, across from Golden Corral. Part of our commitment to our patients includes providing information that helps them to make more informed decisions about their oral health needs. This website is a resource we hope you’ll find both useful and interesting. Please browse through our website and be sure to give us a call if you have any questions or would like to schedule an appointment with our Jacksonville dentist.